Discussion in 'Android News' started by DroidModderX, Apr 17, 2017. Yesterday we got some leaked renders of the upcoming Moto Z2 Force. The thing that stood out most was the fact that it did include a 3.5mm headphone jack. The phone also still includes a Moto Mod receiver. Last year the Moto Z Force only came in the "Droid" edition and was exclusive to Verizon. This meant if you were on any other carrier you needed to purchase the Moto Z without the unbreakable display tech. Leakster Evan Blass is now reporting that the 2nd Generation of the Moto Z Force will be available on T-Mobile as well. There is no guarantee that this will happen at this point, but Evan has been pretty spot on with his leaks over the years. Hopefully this is true, it would be nice to see the shatter shield Force version sold by all carriers. I don't understand why manufacturers agree to carrier exclusivity. They are shooting themselves in the foot by limiting exposure of their devices. I agree radon. I don't agree that manufacturers should do this, but agree that the carrier that helps pay the marketing, research & development cost gets to have their name on the device first in many cases. It happens. At least the Moto Z Play was released world wide at a good price and is an awesome phone. I'm sure there will be a Droid version of the 2017 Moto Z (whatever it's called) so Verizon keeps their Droid exclusivity. 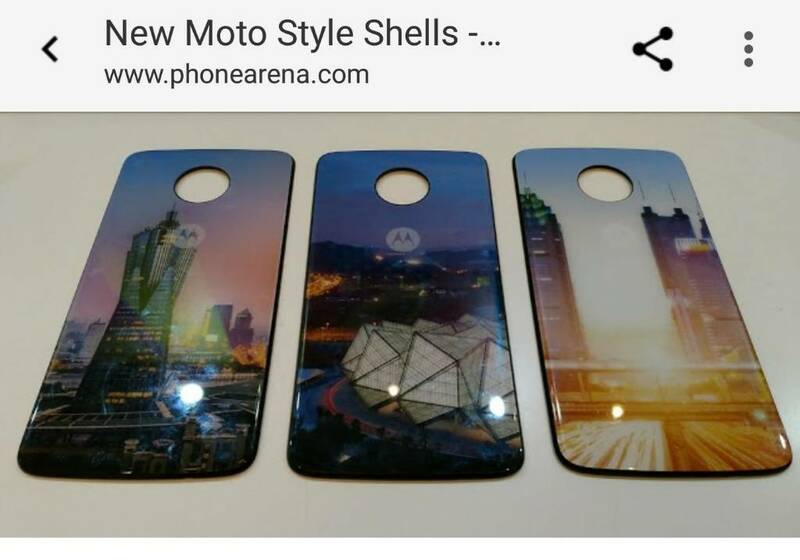 Hopefully Moto has reached a deal with Verizon to sell Force models with shatter shield on all major carriers, that would be good to help spread the technology to other customers. Time will tell. Here are some rumored pics of the new Style Shells that will be available along with the Z2 (or whatever it's called). Hello NickittenPierre. What does an essay writing website have to do with the Moto Z2? Not to be the contrarian...but I think ya'll might have been a little quick to pre-judge Mr. Nickkitten. Despite is self advertising signature, he actually did have a good and useful response in another thread. Moto already announced that the new Z2 Play will be a Verizon exclusive Droid model in the US for the first few months, then an unlocked version later in the year. I'm guessing the same will happen for the new Z2 Force; it will probably be a Verizon exclusive Droid model at first and then later on will be available for all other carriers. I tried it several years ago and can write so large essay that you will be surprised greatly.